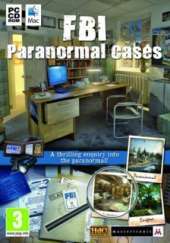 William J. James is an FBI agent recently assigned to the Department of Unclosed Files, a special division dealing with paranormal cases. As he successfully investigates the most bizarre places, details of a worldwide conspiracy start to emerge, forcing him to go around the globe to solve the pending mysteries and uncover horrifying secrets. This is a straightforward hidden object game with occasional mini-games between scenes. Most of the time, the objective is to find and click on all the items listed at the bottom of the screen, on locations filled with paraphernalia scattered around the scenery. In some places, the goal is to collect several instances of the same object. A hint button at the bottom-left corner shows the position of one of the required objects when activated, but has a limited number of hints available and takes some time to recharge after being used. When the hints are exhausted, extra ones start to appear on the screen as golden stars waiting to be collected. The mini-games take place on a separate screen, where mechanisms of some sort have to be manipulated directly to kill bacteria on a petri dish, connect pipelines and complete other similar challenges.